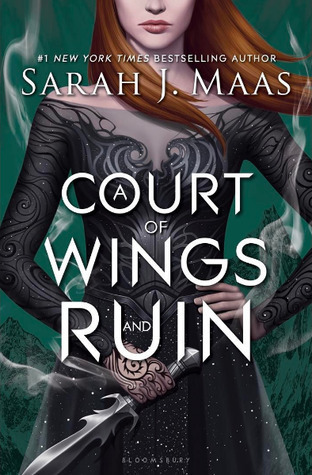 I loved ACOTAR and ACOMAF… but I am only mildly happy with A Court of Wings and Ruin. SJM said that we would get the story through multiple people, and while that is semi true, it wasn’t enough for me. I didn’t see enough of the other characters for my liking… and we really needed character development for the inner circle and more information about Elain and Nesta. Feyre grew so much in ACOMAF so I felt it was the side characters time to grow. I will say the witter banter was still there, which is always fun to read. And what Feyre does in the Spring Court was badass to a whole new level for her. The introduction of the other High Lords of the Winter, Day, and Dawn courts was super fun. So while ACOMAF wil always be my favorite SJM novel (so far), I think ACOWAR is tying with her Heir of Fire (TOG series) for my least favorite. By some MIRACLE, The Ivy Bookshop was able to secure a visit from SJM herself… first time I’ve see her in Baltimore ever. So it was incredibly exciting to go see her. The questions she answered were hilarious- the inner circle’s Hogwarts Houses and how she came to terms with being a Hufflepuff; what the 6th book of TOG looks like; how Rhysand came to be.